Should you hire or buy your suit, waistcoat or dress from Aults Menswear in Bolton? It’s coming up to that time of year when hundreds of school leavers across Bolton gear up for their annual prom. Summer is also an excellent time for weddings, the (allegedly) better weather this season brings is ideal for a summer ceremony. A lot of men think they should hire rather than buy a black suit for the special occasion. The only downside of renting a suit is if you have more than one event coming up, do you want to wear the same suit for both events? If you are going to more than one function then it is worth investing the money in a traditional suit from Aults Menswear. It will be fitted to your size and will only be worn by you. A black suit will be a favourite, but brighten it up with a colourful tie or shiny accessories, anything to reflect personality. A black suit can often double as a dinner suit. Add a bow tie and a smart shirt to it and no one will be any the wiser. It’s easier on bank balances too! Aults Menswear sell a superb range of waistcoats as well. These are available in various size and colours. Ladies always want a new dress for any occasion and aren’t usually interested in hiring a LBD or prom dress. Dressed Up at Aults is a magnificent range of prom dresses, bridesmaids’ dresses, mother of the bride dresses and evening dresses to cater for all tastes and budgets. Dressed up at Aults only stock the very best frocks available. Aults guarantee to sell only one of each style of dress to each school, so no one will be wearing the same dress as their classmate, if it is a prom you’re buying for. The friendly staff at Aults will spend as long as you want helping you to choose your dream dress. 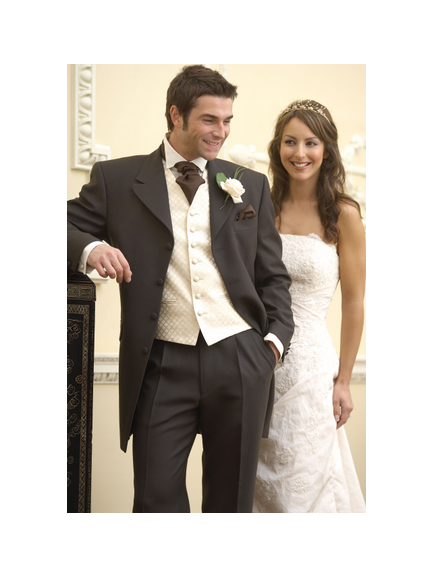 If you want the perfect suit, waistcoat or dress for the big event, then visit Aults Menswear in the centre of Bolton. Contact them on 01204 684007 or visit their website. Their hirewear will suit all formal occasions and Aults impeccably high standards will ensure every customer is served individually.